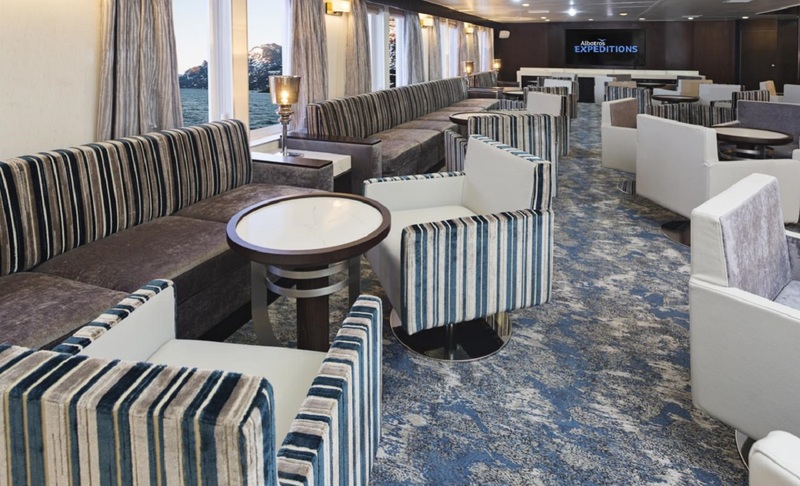 From Iceland's Geysers to Greenland's Glaciers: Among the highlights, we will see the undisturbed Skjoldungen Island, and we will marvel at the glaciers and narrow cliffs of the spectacular Prince Christian Sound. Along the western coast of Greenland, we will visit the capital of Greenland, one of the smallest in the world, and experience local folk dancing in Qeqertarsuaq. 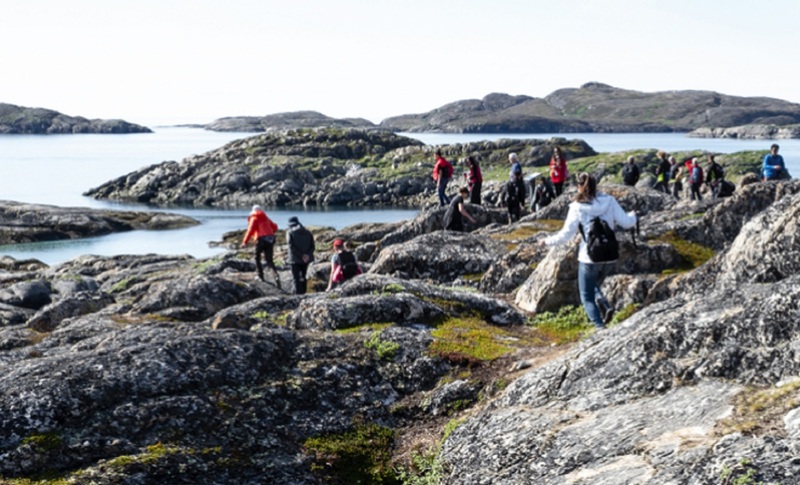 In Ilulissat, we will hike to the Sermermiut Plain where we will have the chance to admire the World Heritage Site of the Icefjord and the dazzling icebergs in the late evening sun. 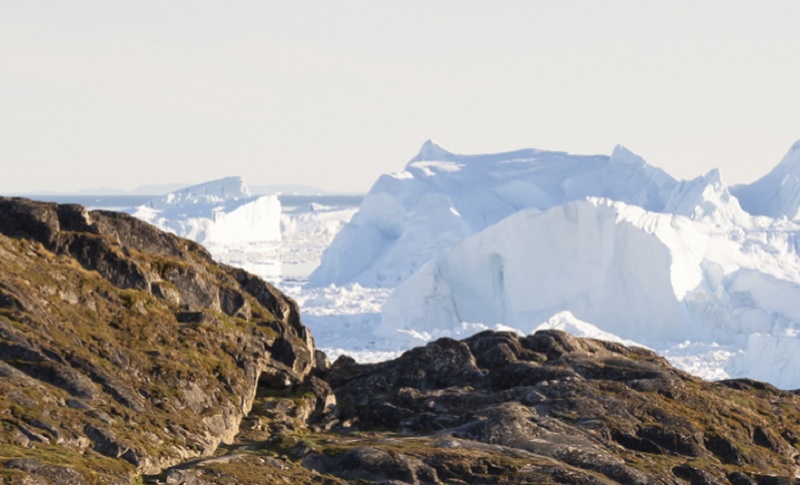 Visit Ilulissat, nicknamed "The Iceberg Capital" UNESCO-protected Icefjord. In the afternoon, we board the Ocean Atlantic and set our course westbound for Greenland. 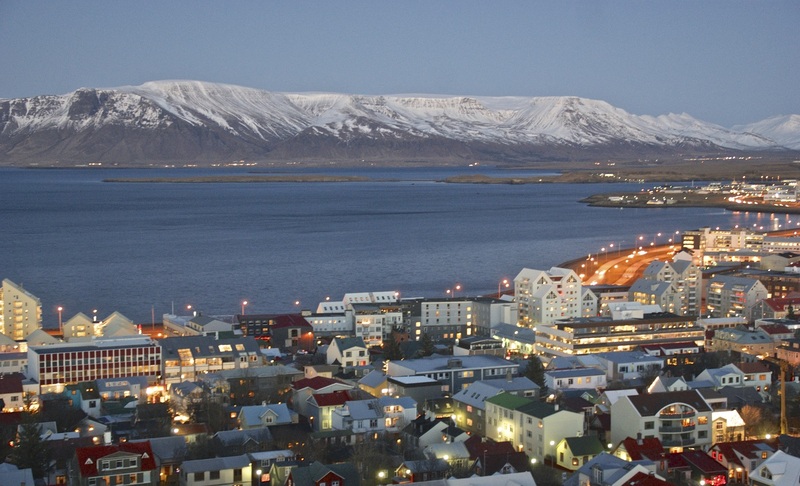 Our lecturers on-board will make inspiring and enriching presentations about both Iceland and Greenland’s past history and about nature, wildlife and climatology. Ammassalik was established as a colony in 1894, 10 years after the famed Gustav Holm's umiaq expedition (open skin boat). The place where the town is located originally had no permanent settlement but it turned out to be a perfect place to live because of its natural harbor and easy access to open waters. Skjoldungen: The Island of Skjoldungen is without doubt one of most beautiful areas in East Greenland. Situated at 63 ° N, the island is surrounded by narrow, steep fjords and glaciers, and with plenty of the cool, crisp and clean air of the ever present and nearby ice sheet. Still, we will find and experience a lush landscape and a milder climate than most would expect. Acclaimed Norwegian explorer Fridjof Nansen came here in late summer 1888 in search of a suitable ascension point for the first inland ice crossing. After Skjoldungen and Ilertakajik fjord, the Alpine peaks and mountainous landscape diminish and from here, we will find that the ice sheet over large stretches reaches all the way to the shoreline, forming cohesive ice shelfs, a type of icy landscape that some travelers who have been to Antarctica will probably recognize. We deliberately opt for a far more comfortable but at the same time more spectacular scenic passage, cruising via the inside passage through the Prince Christian Sound this 60 km/37 miles long waterway, from the mouth of the passage in the east to the settlement Aapilattoq in the heart of the fjordlands of South Greenland. The sound has steep mountainsides, and many adventurous kayakers have had to turn around because of a very limited number of landing sites available. The old weather station of Prince Christian Sound, still manned by sturdy meteorologists, is another classic point-of-interest along this itinerary. The journey through Prince Christian Sound is one of the most exciting and critical passages of the trip. Even under the best conditions, only 2-3 large icebergs can prevent passage, but at this time of the year, free-passage odds are very good. Ivittuut, the capital of the mineral cryolite. Local Inuits observed and utilized a special rock, which, if thrown into the water, could not be seen as it appears transparent in water. Therefore, it was suitable for use as anchors on fishing nets. The origin of the name stems from the Greek word cryolite or 'ice stone'. It turned out that the natural occurrence of cryolite could be utilized in the process of creating aluminum, and this became essential for producing lighter weight materials for war usage in America during World War II. Therefore, military strategists viewed this tiny and formerly insignificant place in Greenland as a place with enormous over the course of those years. In fact, it was one of the reasons why the Americans set up base in South Greenland. Nuuk Fjord is sometimes neglected by nature loving travelers because of its icier neighbors to the north, but this intricate fjord complex is the second largest in the world, and is stunningly packed with inlets, islands and mountains open for exploration. 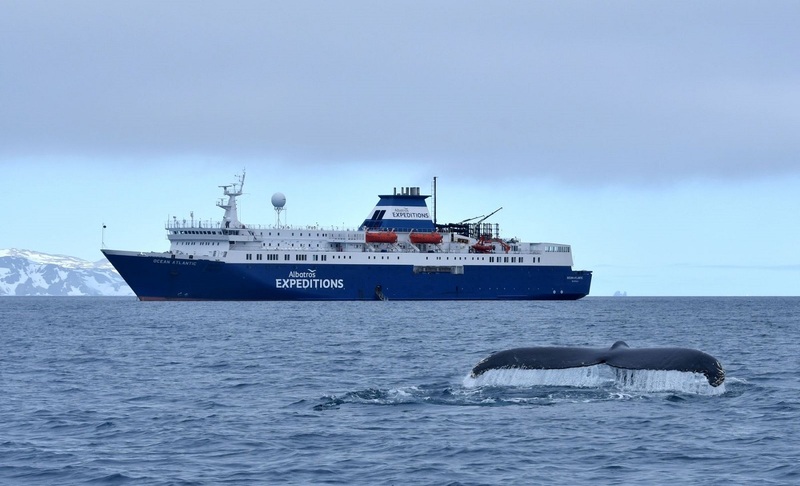 As we enter the Nuuk Fjord we have fair chances of encountering the area's seasonal visitors who come from far and warmer waters of the Caribbean: the humpback whales. 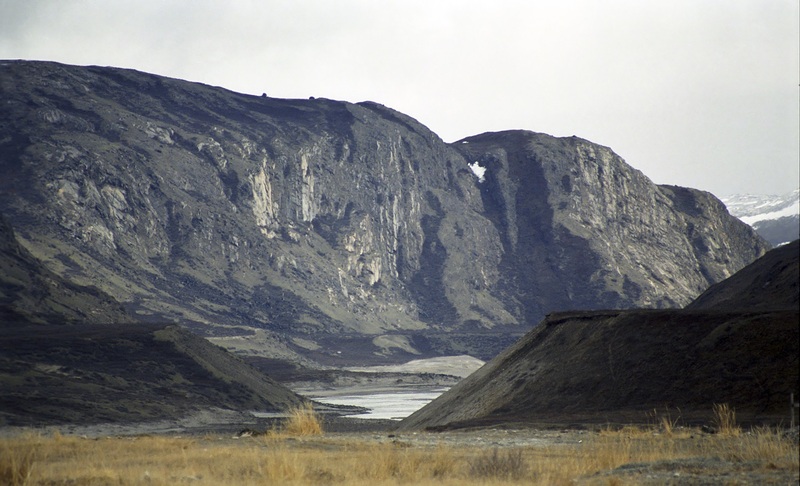 The area has been inhabited by the Saqqaq culture, pre-inuit-settlers, dating back to 2200 BC. From approx. year 1000-1350 AD, the Norse settlers followed and settled in South Greenland and in the Nuuk fjord system (Norse: descendants of the fierce Icelandic Vikings, who in contrast to their ancestors, lived as peaceful farmers in Greenland during that era). Subsequently, members of the so-called Thule culture arrived, the Inuit ancestors of the Greenlanders today. 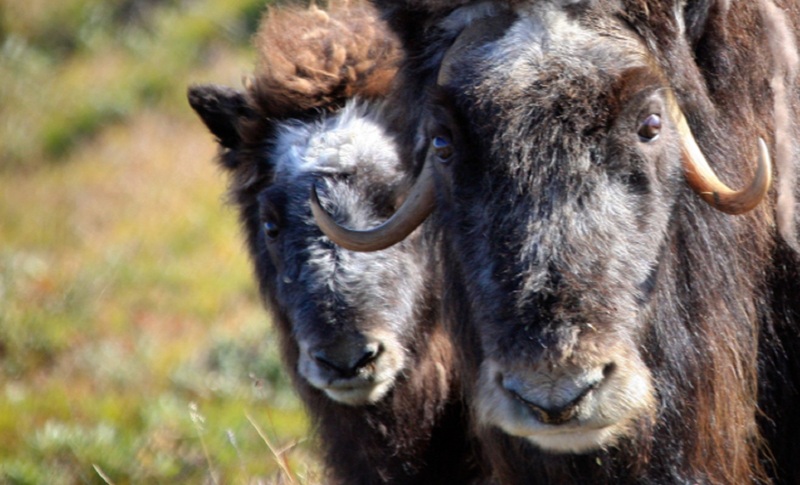 These "neo-eskimos" were better equipped to survive in the rugged Arctic nature than the Norse had been. Not long after, Europeans began to sail along the Greenland coasts. Dutch, Basque and Scottish whalers came to the country from the 16th century to exploit the lucrative oil from whales. Modern history of Greenland began in 1721, when the Norse missionary Hans Egede founded a permanent colony and trading station near Nuuk. In fact, Egede main purpose to return to Greenland was to convert the Catholic northerners to Lutherans, but soon after his arrival he realized the Norse had disappeared, a mystery yet unresolved. Many places in Greenland bear witness to traces of the last immigrant cultures, in particular the Thule and Norse, and the National Museum in Nuuk exhibits collections of finds from these cultures. In addition to a general collection of Inuit ethnography, this is where you can see the famous mummies from Qilaqitsoq at Uummannaq, North Greenland, found in an icy tomb dating back to AD 1475. At the end of the 19th century and beginning of the 20th century, American explorers, including Robert Peary, explored the northern parts of Greenland, which up to that time were unexplored territory for Westerns and often shown on maps as extending over the North Pole. Peary soon arrived to the conclusion that Greenland's northern coast in fact ended several hundred miles from the pole. As we venture further to the north, and during the course of the bright summer night, we will pass Aasiaat and proceed into the southern waters of the Disko Bay. Next, the ship’s heading will be set for Disko Island, known for its distinctive 1,000-meter/3280 feet layered crags. At this point, we will be north of the Arctic Circle! 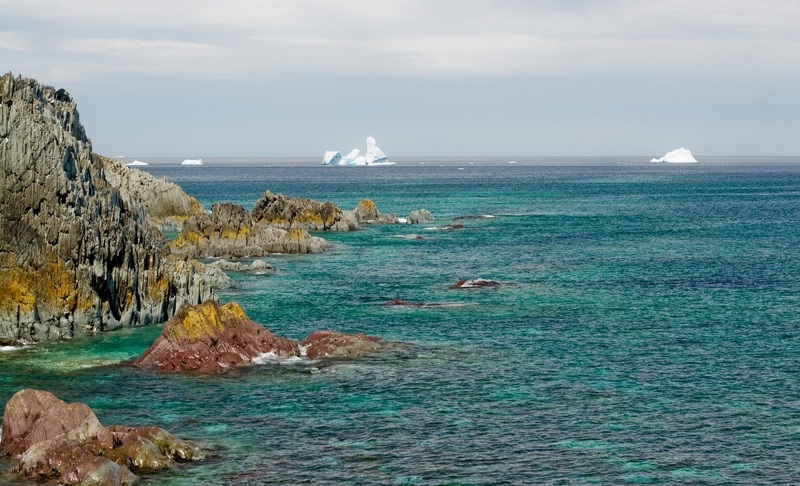 Here, the nights are bright and early risers can enjoy the sight of the icebergs of the Disko Bay as they flow off the Ilulissat Icefjord and continue their journey into the frigid ocean waters. Our next sojourn will be on the southern tip of the Disko Island, where Ocean Atlantic will anchor in a protected natural harbor, reassuringly named Godhavn (‘Good Harbour’) in Danish, while its Greenlandic name, Qeqertarsuaq, simply means ‘The Big Island’. Although topographically quite different from mainland Greenland by the basalt characteristics of the Disko Island’s mountains, Qeqertarsuaq maintains a long, rich history and once served as one of the country’s important economic centers. 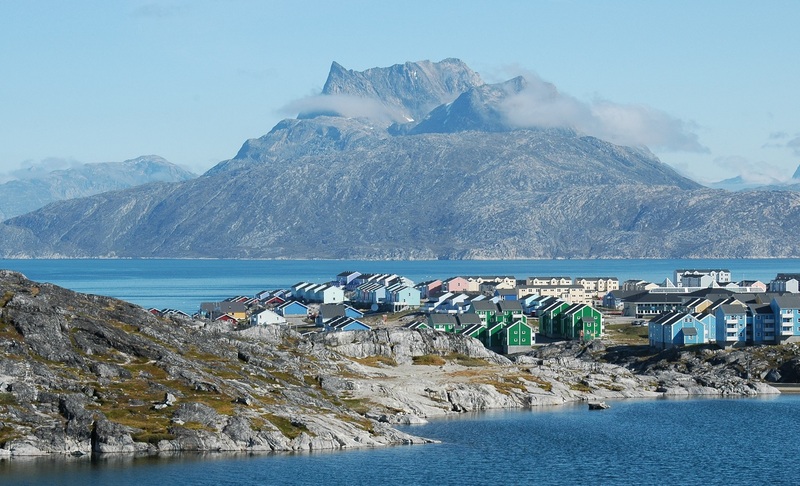 From the 16th century, the community was relatively prosperous and was in fact considered the most important town north of Nuuk until the mid-1900s, due in part to the area’s sizeable whale hunting population. During our visit, we will wander through town, paying a visit to the characteristic, octagonal church, nicknamed “God’s Inkpot”, as well as to a local community center that will be hosting a traditional Greenlandic “kaffemik”, best described as a friendly gathering with coffee, cake and traditional dances and music. As the day ends, Ocean Atlantic will set a northeasterly course bound for a magnificent natural highlight – the enormous Eqip Sermia Glacier. 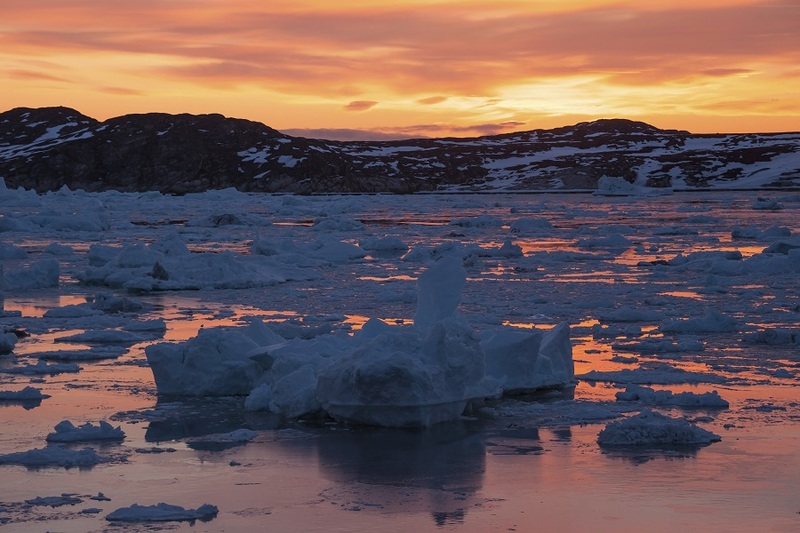 Situated approximately 50 nautical miles north of Ilulissat, the Eqip Sermia Glacier is renowned for its beauty and the pristine nature surrounding it. Some legendary arctic explorers selected this location as a base for their studies. One such explorer, the acclaimed Swiss glaciologist Alfred de Quervain, used the location as a base for his expeditions onto Greenland’s inland ice sheet over a century ago. We will sail as close as possible to the ice edge – but at a safe distance to avoid the plunging blocks of ice and violent waves that result from the calving glacier. This glacier is, without exaggeration, one of the most impressive in Greenland. 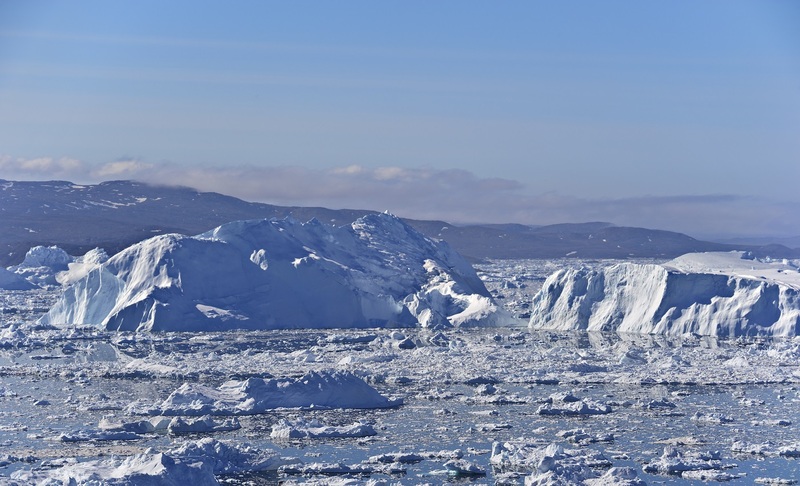 Here you can experience calving of a glacier up close, which is not possible in Ilulissat. Great crevasses, deep blue glacial streams… a landscape so unique and stunning that words are simply not sufficient; an outstanding opportunity to see, feel, hear and smell this mighty ice world. 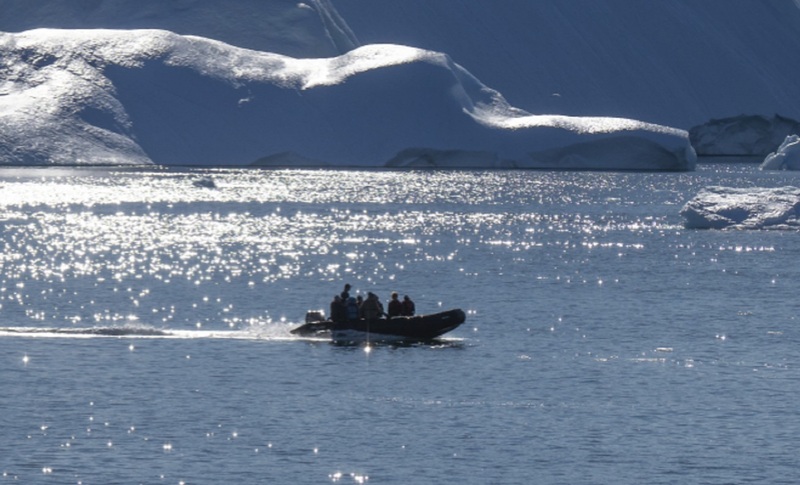 We will venture ashore in the Zodiac landing crafts, and for those who fancy it, the afternoon offers a hike in the arctic tundra and pristine nature. The ship readies for departure in the early afternoon, passing southwards though Ataa Sound to moor in the harbor of Ilulissat early the following day. Ilulissat is possibly the most well located town in Greenland. The name simply means ‘icebergs’ in Greenlandic and the town’s nickname is rightly ‘the Iceberg Capital’. In Disko Bay, which is located just off the coast of Ilulissat, gigantic icebergs linger in the freezing waters. These icebergs come from the Icefjord, which is located a half hour’s hike south of Ilulissat. These impressive frozen structures are born some 70km/43,5 miles deeper into the fjord by the enormous Sermeq Kujalleq glacier. This 10km/6 miles-wide glacier is the most productive glacier outside of Antarctica. 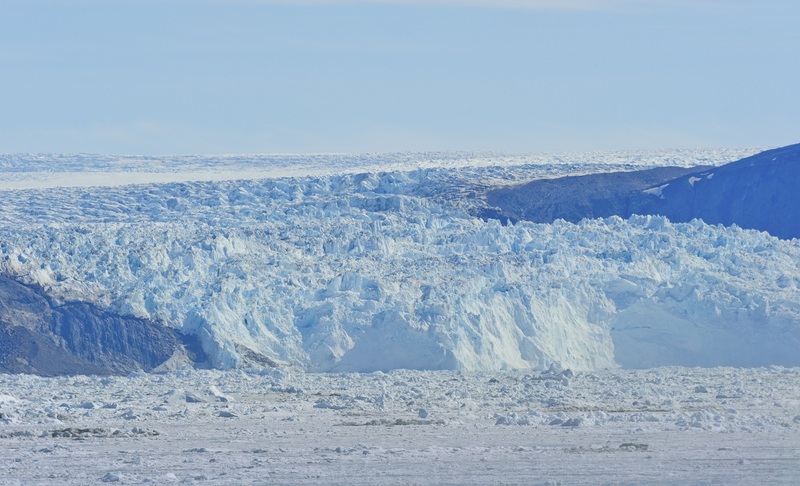 Whereas most glaciers only calve at a rate of approximately a metre/three feet a day, the Ilulissat glacier calves at a rate of 25m/82 feet per day. 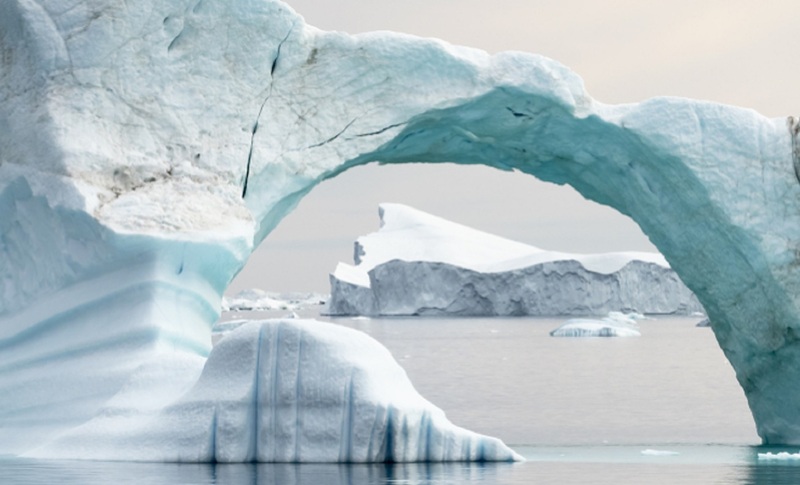 The icebergs produced by the glacier represent more than 10% of all icebergs in Greenland, corresponding to 20 million tonnes/22 million us tons of ice per day! On this day, you will also have the opportunity to join a boat trip to the Icefjord (not included). The journey takes about two and a half hours in total, and presents an opportunity to gain a closer look at the amazing ice-sculpted scenery. The trip is definitely something out of the ordinary and a great natural experience that you will remember for years to come - but be sure to remember warm clothes! Please note the boat and flightseeing excursions to the Icefjord are optional outings and therefore not included in the general tour price. Furthermore, both excursions must be booked in advance. Before lunch, we will return to Ocean Atlantic and continue our journey toward the fjord of Kangerlussuaq, also known as Sondrestromfjord. Especially the first part of the fjord gives you great opportunity to enjoy an impressive passage with panoramic views of high mountains and deep valleys. During the night, we will have completed our passage through the 160-kilometre/100 mile Kangerlussuaq Fjord. After breakfast aboard the ship, we will bid farewell to the ship's staff and the Zodiac boats will shuttle us to shore. Due to Kangerlussuaq’s military history and present-day role as an important air travel hub, Kangerlussuaq remains fairly isolated from Greenland’s rich cultural traditions, in comparison to other regions. While you still find cultural experiences when visiting Kangerlussuaq, the most impressive attraction is the surrounding nature, which is just beckoning to be explored. This close proximity to the Ice Sheet, combined with the continental climate, is also of great significance to the local conditions. The dry climate, combined with warm winds that “fall” from the Ice Sheet, can result in temperatures that jump up to 30°C (86°F) in the summer, but then drop to an extreme -40°C (-40°F) in winter, making it the coldest inhabited area in Greenland. Please note the excursion is not included in the general tour price. We do not recommend this excursion for people who suffer from bad necks or backs, as the gravel road to the ice sheet is occasionally bumpy and uneven. As our time in Greenland concludes, we will fly from Kangerlussuaq to Reykjavík, and your Arctic adventure will have concluded. 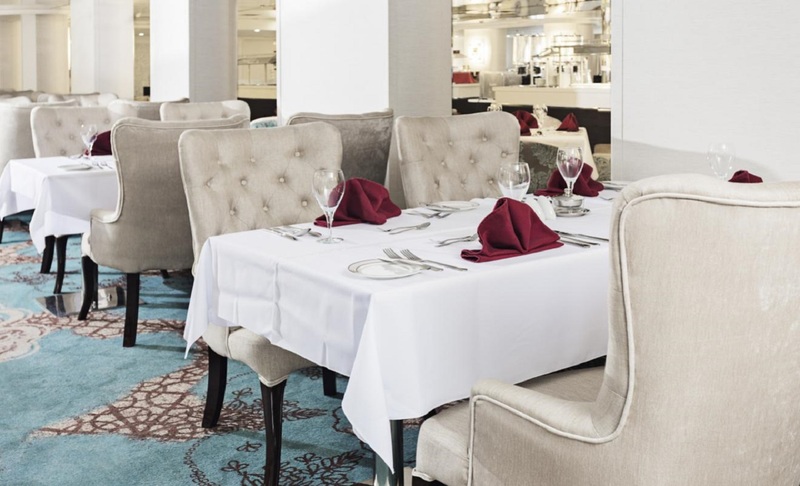 We hope to see you again soon! 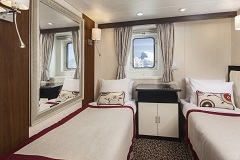 18-21m², double bed, fold-out single bed, sitting area, private bathroom, located on deck 5. 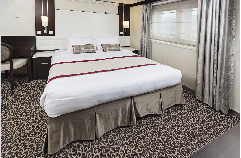 18-21m², 2 single beds or 1 double bed, sitting area, private bathroom, located on deck 5. 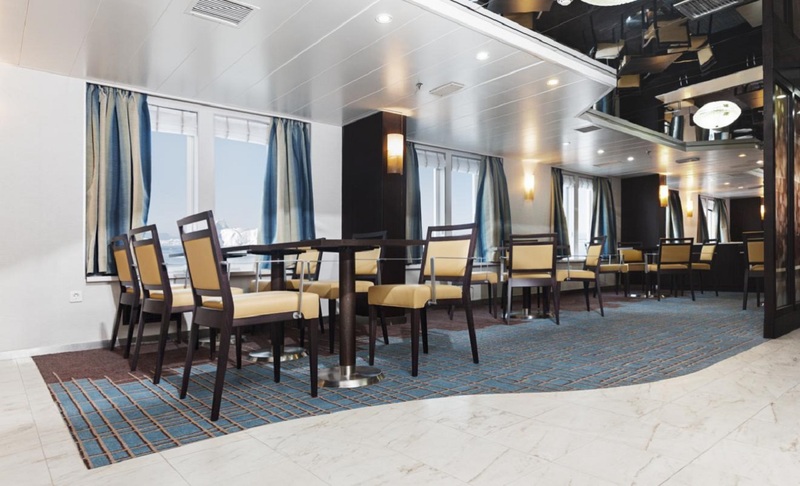 11-12m², 2 single beds or 1 double bed, sitting area, private bathroom, located on deck 4. 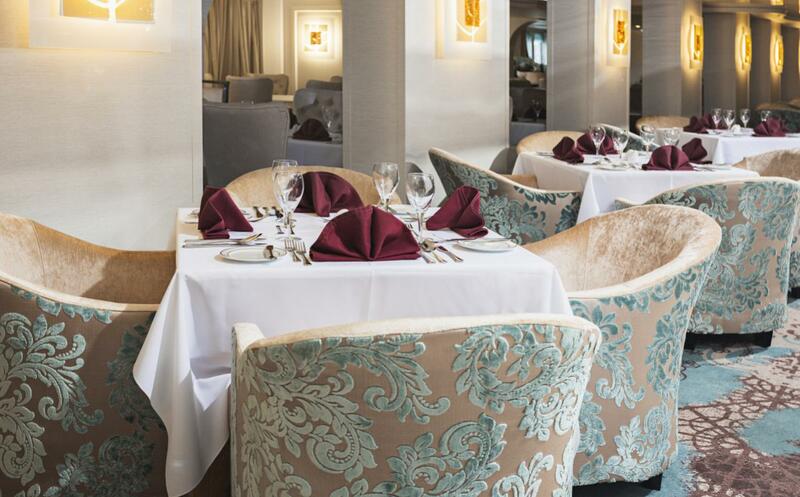 12-13m², 2 single beds or 1 double bed, sitting area, private bathroom, window, located on deck 4 and 5. 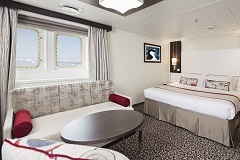 20-23m², 2 single beds or 1 double bed, sitting area, private bathroom, window, located on deck 7 and 8. 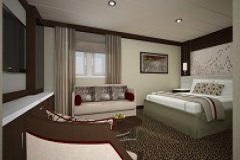 19-24m², 2 single beds or 1 double bed, sitting area, private bathroom, window, located on deck 5. 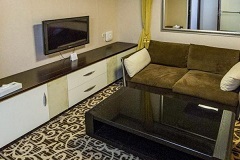 35m², 2 single beds or 1 double bed, separate living room, large private bathroom, large window, located on deck 5.